Cast on a multile of 4 stitches, plus 1. 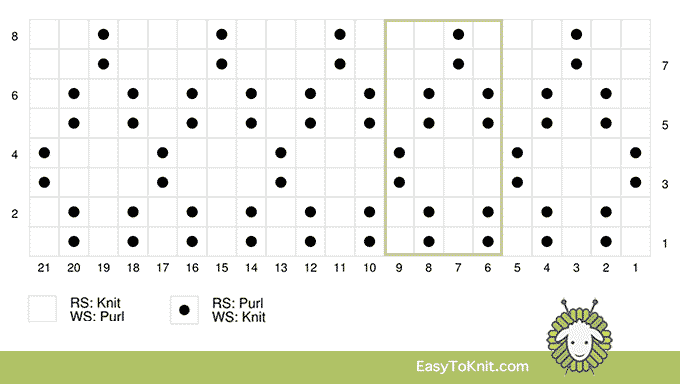 Rows 1 and 5 (RS): Knit 1, *purl 1, knit 1, repeat from *. 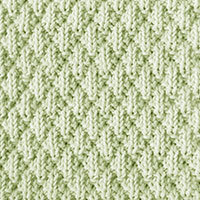 Rows 2 and 6: Purl 1, *knit 1, purl 1, repeat from *. 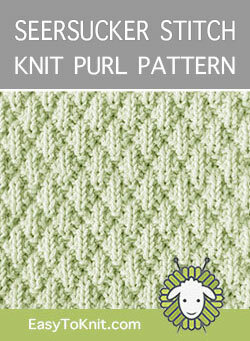 Row 3: Purl 1, *knit 3, purl 1, repeat from *. 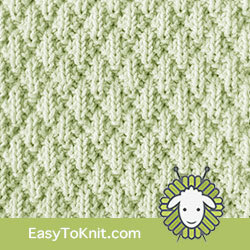 Row 4: Knit 1, *purl 3, knit 1, repeat from *. 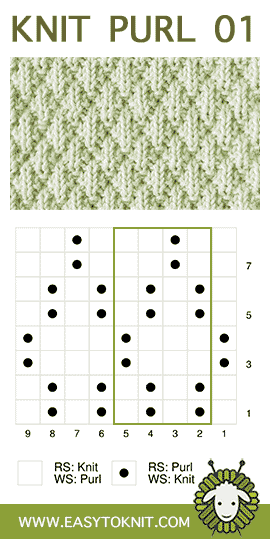 Row 7: Knit 2, *purl 1, knit 3, repeat from * to last 3 sts, purl 1, knit 2. 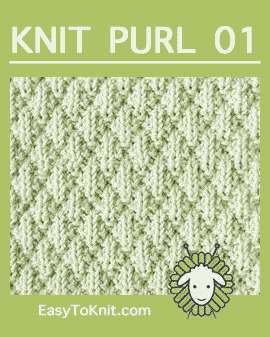 Row 8: Purl 2, *knit 1, purl 3, repeat from * to last 3 sts, knit 1, purl 2. I'm happy to have found your site. Thx for all the free patterns you share.